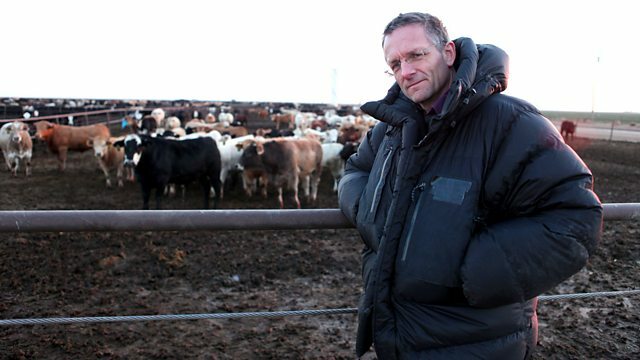 Did you see Michael Mosely’s two part documentary on meat? The first part considered health and, at the risk of me massively over-simplifying an hour-long programme, seemed to conclude that eating fresh meat is fine but processed meat may increase your chance of cancer. The second part considered environmental effects. This, I felt, focussed far too much on production of green house gasses and ignored other environmental impacts. The man at a CAFO (Concentrated Animal Feeding Operation) in America cheerfully said his was the green way to raise cattle. He completely ignored the fact that his animals lived in a barren, grey wilderness reminiscent of a concentration camp. There was not a single plant, insect, butterfly, bee or bird to be seen. This is not my vision of green farming. Any environmentally friendly, sustainable farming system needs to include protection of biodiversity and care for the land itself. Grass stabilises the land and prevents desertification, so grass and grazing animals naturally bring environmental benefits. The manure that the animals produce fertilizes the land so that it retains its nutrients. Contrast this with the CAFO animals whose dung is a problematic waste to be disposed of and whose food is corn grown using artificial fertilizers in a cycle that depletes that land and pollutes the water. Large areas of some countries are given over to growing crops like corn and soy, in huge mono-culture farms, just for animal feed. The natural diet for cattle is grass. Corn and soy cause health problems for the animals and change the profile of the meat to higher omega 6 content and lower omega 3 so the meat is less good for us – there was no mention of this. Top tip: Buy grass-fed, local meat.